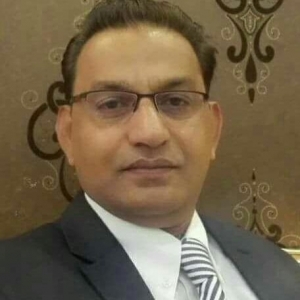 Pakistan on Thursday said that the Indian state was involved in perpetrating terrorism and terror financing in Pakistan and the confessions by Indian intelligence agent and serving officer of Indian Navy Commander Kulbhushan Jhadav have exposed Indian design to destabilise Pakistan and sabotage the China-Pakistan Economic Corridor (CPEC). “We have already taken up this issue at various forums, of Indian involvement in subversive and terrorist activities in Pakistan. The terrorist always use vulnerable elements in the society to carry out terrorist acts, which India is doing,” said Nafees Zakria, the spokesperson for the Foreign Office, during a weekly briefing at the Ministry of Foreign Affairs. To a question, Zakria said that India also uses Afghan soil for sabotage in Pakistan. “We have taken up the issue of Indian state institutions’ involvement in perpetrating terrorism in Pakistan at all relevant forums and we have also on a number of occasions highlighted that India uses Afghan soil against Pakistan,” he said. He said that the report of Indian activities mentioned in a question regarding recruiting poor Afghan refugees to use them for terrorist activities further exposes Indian negative activities in Pakistan and Afghanistan. He said that the world has witnessed the worst human rights violations in recent years in the Indian-held Kashmir at the hands of Indian forces. “During my last briefing, I had referred to Indian force as criminal,” he said, pointing out that Human Rights Watch Executive Director Kenneth Roth has also said in social media that the Indian Army chief has shown criminal leadership for his backing to the use of an innocent Kashmiri as human shield. Unfortunately, the Indian forces continue with their brutalities against Kashmiri people, Zakria said. The Kashmiri victims of Indian brutalities have been watching the international community’s helplessness, he said. In just last five days, they have martyred more than a dozen Kashmiri people, including three in extra-judicial killing. During the last month, 28 Kashmiris were martyred, 945 were seriously injured and many hundreds arbitrarily arrested, he said. Sharing a fact sheet on the Indian agent’s case, the spokesperson said that the Indian media, backed by the official quarters, misled people in the two countries by propagating that India has ‘won’ Commander Jhadav’s case. He said that the discussions that ensued in the two countries showed a complete lack of understanding of the matter. The Indian media, based on the reported briefing by official quarters, called ICJ’s letter dated May 8, 2017, the day India filed its petition, to the government of Pakistan as ‘stay on Jhadav’s execution. “This is a lie. ICJ noted that lie,” he added. He said that the ICJ stated clearly that its decision on provisional measures was not concerned with jurisdiction/merits and the court considered that the Indian agent would not be executed until the full hearing. “This is nothing unusual,” he said. Irrespective of ICJ’s stay, Jadhav would remain alive, until he has exhausted the right to request for clemency, initially with the army chief and later with the president, he said. He said that a full hearing would take place after the court sets down a timetable on June 8 at The Hague. He also said that the Jadhav case at the ICJ concerns whether he was entitled to consular access. In three previous cases in ICJ, the request for release or acquittal was not granted by the court, he pointed out. He said that the court stated that it does not have the power to make such orders. “The case is about whether Commander Jadhav is entitled to consular access and it is not about whether the ICJ can act as a court of appeal from Pakistani proceedings. That is why Barrister Khawar Qureshi informed the court that India cannot obtain from the court what it is seeking,” he said. Qureshi also told the court that India was using media to create false impression about the case. Zakria said that suspicions were created regarding Qureshi’s competence. “You may note that Qureshi is consistently rated by the legal directories as one of the UK’s top international lawyers,” he said, adding that he (Qureshi) has charged highly discounted fees, contrary to Indian media’s disinformation about his legal fee. “There were doubts raised about Barrister Qureshi due to negative Indian media campaign. For that purpose, it would be advisable that all of you go through his CV, and you would know his experience, skills and professional credentials,” he concluded. The Foreign Office has strongly rejected as baseless allegations from Afghanistan that Pakistan is behind the recent terrorist attack in Kabul. 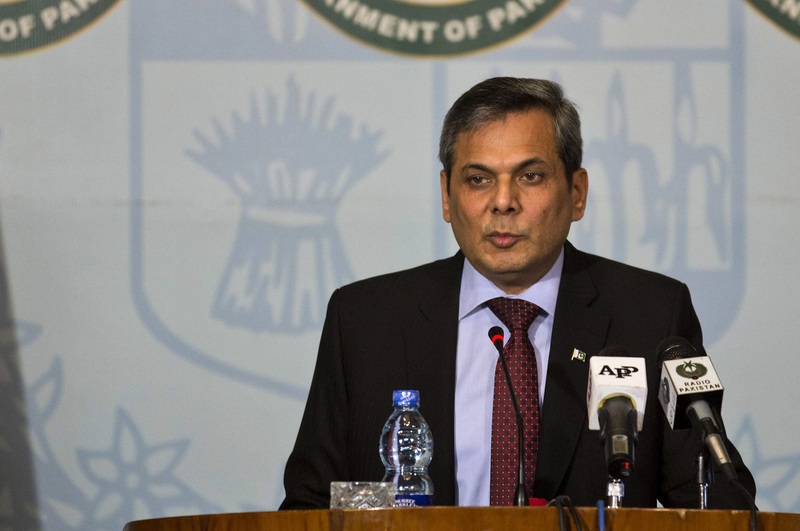 Foreign Office spokesperson Nafees Zakria said that the accusatory approach was unhelpful towards efforts to peace. He said that Pakistan itself has suffered immensely from terrorism and it has given unparalleled sacrifices in the war on terrorism. Pakistan has the highest stakes in when it comes to the peace and stability of Afghanistan more than any other country, he stated. “Our commitment to peace in Afghanistan is based on sincerity and is beyond any doubt,” he added. However, he said it was disappointing that certain elements which have no interest in peace want to damage relations between the two neighbouring countries. “They are trying to malign Pakistan for their vested agenda,” he said, adding that the onus of setbacks in Afghanistan cannot be put on Pakistan or others. He said Pakistan believes in politically negotiated settlement of the Afghan issue as there was no military solution to the conflict. One thing is for sure that how much you Porkis kept on bragging about false and baseless accusation of indian interference in Pakistan, no civilised country of this world will ever believe you. You cannot deny the fact that Pakistan offers sanctuary to deadliest terrorist (OBL). You use terrorism as statecraft. You are a rouge country like North Korea. You have a habit of black mailing the world. You always boast of your nuclear weapons. Don’t even think of comparing yourself with Indians. They are far a head of you in all the fields. Pakistan is using all means to keep Afghan security apparatus weak and under its toes. Its proxies are continously attacking vulnerable areas. Whereas its FO and media works overnight to issue long lists of denials and Do-s and don’t Dos to Afghanistan. In short it will not allow that country to remain soviergn and independent. It has backing of China. Its enjoying Trumps clumsy Foreign policy to the fullest.